4UUFOH STORE : UUFOH GEAR! Member Info: Skywatcher, Alien playmate, Hybrid, Artist, UFO Buff, Investigated the 97 Smithsfield Cropcircle, Interacted with Cropcircle light phenomenon in the 1996 Cropcircle. UUFOH Note: I couldn't have done it back then without her, Thanks Merri - Miss You! Member Info: Dedicated alien hunter. Very incogneto. My hobbies are camping, fishing, water activities, hiking and of course alien hunting. I have had lots of investigating experience, thats about the only thing to do around this town and plus I live only 15 minutes away from the Sherman Ranch. Equipment: Spot lights. Digital camera, Video recorder, stealth mode equipment such as black gloves and lots of camo gear. I have nigt vision, spotting scopes, and binoculars. Also extra sensitive hearing devices. Sightings: Never had an actual encounter with an alien being.but many pictures of weierd lights. have seen many weird lights. Unexplainable noises. Goal -Why I want to Join: Alien hunting is my passion in life. Its just about the only thing that gets me interested or excited. I could/would dedicate my every waking minute to any investigation. Equipment: 2 telescopes, 2 camcorder's and 3 still cameras, two way radios, scanner, and eyes in the back of my head. - Prepared Member !
" Denial Of A Cover-up - The Biggest Lie Of All"
UUFOH Note: Sean has a impressive drive, but we haven't heard from him in a while. 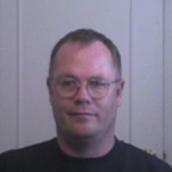 Member info: Occupation : Network Engineer / Programmer / Telecommunications - UFO Buff. Really interested in linking Alien activity with religion. Goal : Want to make others aware of what's going on. Sightings: 1 (I think).it was at night but was moving so fast across the sky it couldn't have been a plane. "Who's more crazy? The person who knows the truth. Or the person who ignores it? Bigelow Skywatch Attendee & Well Prepared ! Member info: I stay up late at night, go for walks, good eyes, have some embalming experience. Security guard. I want to Join: because some one needs to do something about this UFO thing. I would like to be a part of this prestigious group. thanks. Details: The sighting that I will always remember is when I was 10 years old. This craft just came over my house and didn't make any sound it just hovered over the house. All I recall is that my brother, my friend, and I where just watching it as it slowly went to North Ogden, Utah and slowly disappeared over Ben Lomond Peak. Ever since then I would hear things and my brother would think I was crazy. This was only when it was dark and I was in bed. I was scared to even go asleep at night, I thought something was taking me out of room. This went on for 8 years. Now I Just look up in the sky and I can see UFO's and every time I have my wife look up it disappears and now she thinks I'm crazy, but I see them there. supporting Evidence: One sighting I seen was in the 1980's and my exbrother in law's parents took the photo. They still have it. Also the Standard Examiner took a copy of it and it was published in the paper. This UFO was flying over the Ogden area. Why I want to Join: Because I know I can be a great asset to the group. Why I want to Join: Because what my friends have told me there are aliens and I believe them they have nothing to gain from telling me something that is not true I want to be team motivated in the group and learn from each other I want to find more of the truth and this is the way to do it. Experience:No professional exp, only sightings and extreme interests since the age of 5. Always "knew" they were out there. Missing time and scoop mark (? ), was a tom-boy, but I have no recollection of how I came about having this mark. Details:1st sighting that I remember is of seeing a craft (?) in the air over the desert in Nevada. I watched it zig-zag across the sky for about an hour (?). I reported it to Nellis Air Force Base. I was around 10.
point out where this "glowing" object was and he did. I could see a faint impression in the air where this object was suppose to have been. The impression was outlined in black/gray, just haning in the air. We didn't speak more about it and let the subject drop. Also during this time I came down with an Auto Immune Disease.......not sure if this is connected or not. This happened in Virginia.4th sighting occurred a few years back. My boyfriend and I were just leaving a softball game and were in our car driving home. It was dusk, however the visibility was excellent. We started to make a right hand turn when I looked to the left and saw something hanging in the air. A bright lighted object. I pointed it out to him and said "that is a UFO", he laughed....about that time the object that was probably half a block away moved quickly to the left, stopped moved quickly to the right, stopped and repeated the whole maneuver. At this point I was very excited and told him to make a right instead of our left and head toward this object because I wanted a closer look. The object remained stationary until we approached within 200 ft or so (excuse my sense of distance...it does leave alot to be desired )and then it started to move slowly in the same direction we were headed. We continued to pursue the object through a light and it headed over the top of an apartment building. I was very excited because at this point we were close and I knew when reached the other side of this apartment building I would have a close sighting. I urged my boyfriend on and we rounded the apartment building only to discover that there was nothing there...the object had skimmed the top of this building and then disappeared on the other side....it should have been on the other side of this apartment building. There was no place for it to go! It wasn't there. I felt a sense of let-down. I really wanted to see this thing. Once we couldn't find the object we turned around and headed back home....2 minutes in to our trip home my BF and I were discussing what we saw...he thought that I what we saw wasn't a UFO, but he could offer no explanation for what we did see. (he had been in the Air Force for several years ) I'm talking and am very excited about what just happened and am trying to convince him that what we saw was a UFO...he's kinda poo-pooing me off when all the sudden a black sports car flies buy us at a very fast speed....the license plate said UFO! We tried to keep up with the car but were unable to......for the next three days I was very uneasy..I felt like I was being looked at, studied. I felt like they were out there watching me...I can't explain that. I have no memory of contact. I never said anything during those three days, but I continued to watch the sky and was nervous about leaving my house. On the third day my boy friend came over to my house and preceded to tell me that he had an uneasy feeling and felt that they were watching me!! Why I want to Join: I wanted to join to appease my enormous interest in UFO's. As a small child, around 5 or so. I would stand on my bed and look out my window when I was suppose to be asleep. I can remember looking for UFO's...I remember looking for signs that they were there.I have always KNOWN that ET's and UFO's are real...I have always known that! Insomnia and so I often go out onto my roof at night and watch the always changing sky's around Salt Lake. Credentials:Nothing special. I am in High School at Olympus. Honor Roll student. Experience:Few possible encounters with UFOs, but want to know what they are for sure. Talents:I can stay up all night easily, take accurate observations and I tend to notice the small things. Supporting Evidence I have a picture of one, but it came out terribly and you cant tell what it is. Other witnesses. imagination or lies, I need to be around people with the same interest and beliefs as myself. Comment: I would like to make a larger donation to UUFOH to help with the effort. Equipment: Telestar Model 60EQ telescope Nikon 28-80mm, JVC Optical 22x camcorder, 1995 GMC Jimmy 4wd. Experience: skilled researcher, computer literate, negotiator, highly detailed oriented. Talents:Artist in mixed mediums, amateur photographer. Details: 1st sighting around 1967-68 over Utah Lake, looked like a bluish type of craft with a light that slowly dropped out of the bottom of it and hung in mid-air for a while..
2nd sighting 1991 Cancun, Mexico. While standing on my hotel balcony I saw brilliant orange-red balls of light shooting from the clouds above the ocean coming straight above my hotel at enormous speed, it lasted a good 5 minutes. Supporting Evidence: #1 reports on the evening news.. says it was a weather balloon. #2 I don't know who else along the beach saw this or at the hotel.. I didn't inquire, it totally blew me away. Why I want to Join:I am also a believer and I think that anyone who is not is very arrogant to think we are the only ones here. I want to help uncover and expose the truth.. it is way past due. Talents: I can read maps and make them and I am very good with directions and roads. Equipment: digital camera.....not sure what equipment is needed....I may have more. Why I want to Join: I have long been interested in this area. Would like to gain experience on field investigations. Would like to not only have more personal experiences in the paranormal area but would like to use that experience and any gained knowledge to help others. Member info: I find myself quite psychic and an empath. Credentials:? I'm a wife and mother and grandmother. I drive a school bus and work with special children. I study astrology, reincarnation, history,religions,UFO's for many years. I love to hike and watch the sky. Equipment: We have a metal detector, and telescope. Details:I could go on and on here but feel it's not important. Each person has their own special experience. Supporting Evidence My children have watched some of the UFO's with me.All my sightings have been in Utah. Why I want to Join: To listen and read what others have to say. To know I'm not alone in what I see and what I believe. I'd like to be able to say I see UFO's and not have some snickers and doubts.,to change peoples thoughts about UFO's make them a legitimate concern. UUFOH NOTE: Glad to have Marianne aboard, Marianne is working on a database of our accomlishments/ findings which is well needed and would like to say thanks for making UUFOH better! Keep up the good work! Talents:Father and I may be interested in seeing what the team is all about. Why I want to Join: My father and I have been curious for a long time about Bigfoot and UFO's and we want to learn more and if possible, help in anyway possible. Sightings: Several in my lifetime, You would be surprised what you can see in an aircraft over 100T and travel at speeds in excess of 6T and a lot faster such as an SR71 and/or an F-108A Rapier at the time its codename was Tigershark. Goal Why I want to Join:Because a heck of a lot involving Alien Spacecraft will be coming sooner to an area near you than later. Remember the Mayan prophecy. Goal Why I want to Join:Just moving back, would like to join friends of similar interest, and general fascination for a state that i feel is ripe with paranormal activity. UUFOH Note: Pete has some very good contacts and involvement with interesting and knowledgeable persons in the field, a welcome member indeed! UUFOH Note: UUFOH thanks Nedis who has been very involved and participates in most activities.He is always well prepared. Nedis is also very interested in the New Area 51! UUFOH Note: Susan has been involved at meetings and with SLC MUFON for some time, a knowledgeable member! Why I want to Join: I've always been interested in this field and know they are out there. I want to join to go on investigations when possible and collect evidence. Credentials: Gas / Diesel Mechanic / Heavey Equip. Why I want to Join: I would very much like to be a part of a serious group , to collect as much proof as possible for the existance of UFO`s and other paranormal subjects like Bigfoot and Spirits. Website Love the layout and easy to follow format! UUFOH Note: welcome Ron! Glad to have you on the team.